Hot and humid days turned to cool rainy ones a couple weeks ago. 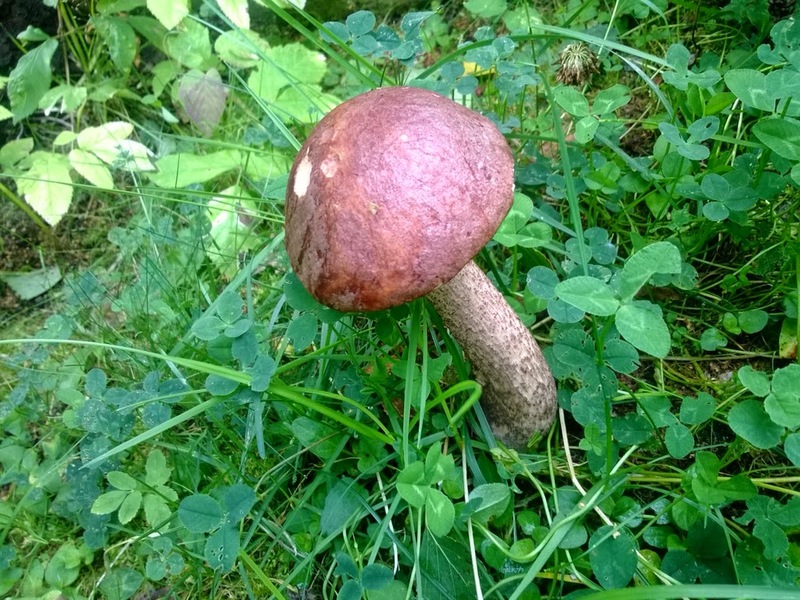 All this rain with occasional sun has gotten the mushrooms popping up here and there and everywhere. 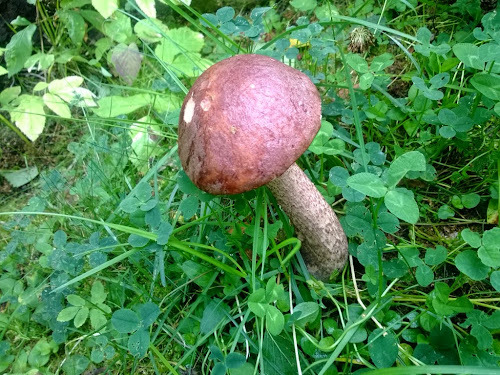 A bolete even decided to grow at the edge of our lawn.